What are common dates that women use for this necklace? 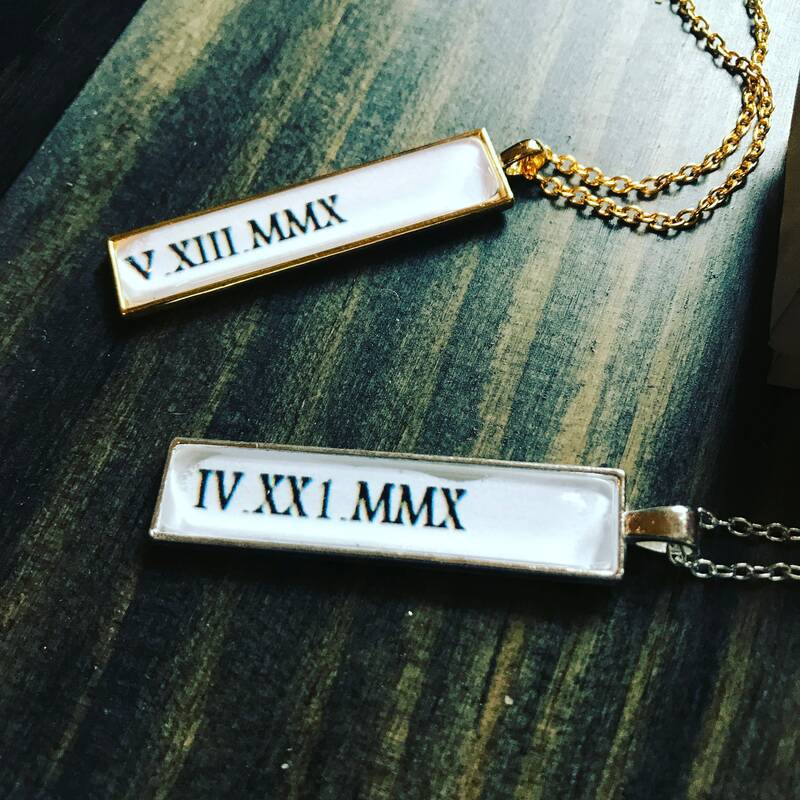 Anniversaries, date your first child was born, Date of graduation, or any significant date that you would like converted into roman numerals. 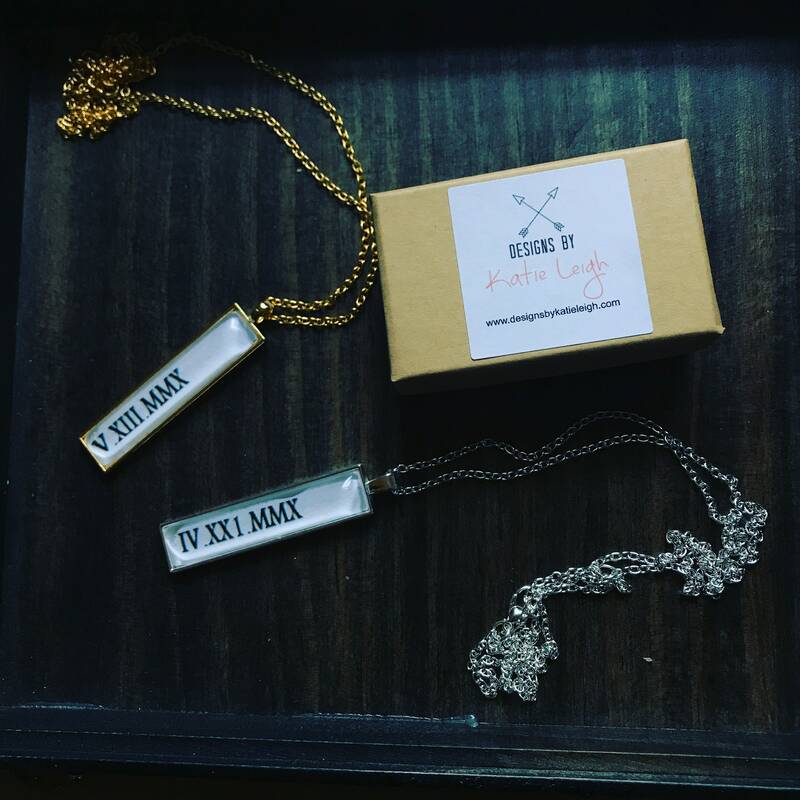 We custom make these necklaces and make sure the entire date will fit into the allotted space without looking too large or crunched. How do I Let you know what date I want? When you purchase from us there is a "note to seller" box at checkout. Just put in the date you would like us to use (ie. 10/14/2009) We will email a proof to you before we mail out. What if I want a different color font? No worries! Let me know what color font you would like.